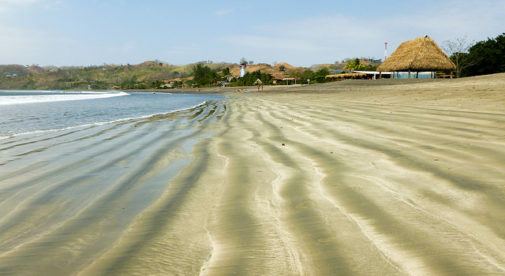 Wayne and his wife, Christine Small, live in the small town of Pedasí—a beach lover’s paradise on Panama‘s Azuero Peninsula. Having lived in Connecticut for many years, Christine and Wayne were drawn to this Pacific coast paradise by the lush tropical greenery and spectacular climate. Their new life started off with a land purchase on the edge of town. Wayne drew upon his construction background and built their house on that land. He also built a rental casita, which Christine manages. Their rental provides them with enough income to cover the bills with a little leftover for spending cash. After building their home, Wayne decided to put his woodworking skills to use and now builds furniture for many of the town’s expats. Pedasí also has a variety of affordable dining options on offer. At local expat hangout, Smileys, lunch can range from $4 to $10; where you can get a burger and fries, tacos, spaghetti, or a pulled pork sandwich as the lunch special of the day. And there’s always one of the local fondas (a small restaurant) serving $3 comida del dia, or food/meal of the day—usually a delicious, filling meal of rice, lentils, and either chicken, fish, or pork. On the days they don’t feel like working, they don’t. Pedasí is an ocean playground providing countless surfing and fishing hotspots, and land-lovers can enjoy horseback rides, zip-lining, and miles upon miles of secluded beaches to walk. But they don’t just spend all their days chilling out on the beach. Christine volunteers with the local Animal Advocates charity. And while visiting family stateside, Wayne decided to buy a truck and ship it back to Panama. But this is no ordinary truck. It’s a racing truck, which Wayne drag races near Panama City, providing the couple with a mini-vacation in the city for some fast fun. In Panama, you’ll find a better quality of life on offer for less.